Third Eye believes that your technical outdoor gear can be functional and beautiful. With artist designed Totally Awesome Headbands™ , you can pick one to match your unique style, or just get one for every day of the week. 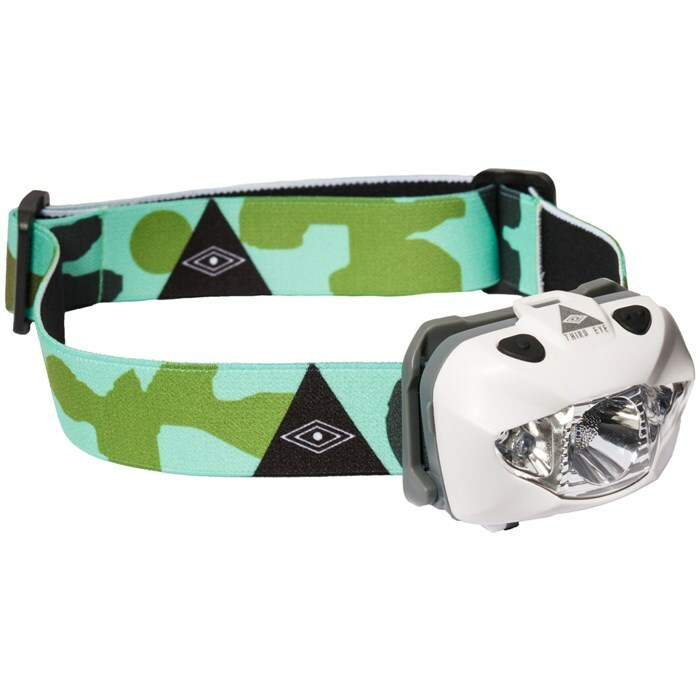 When it comes to the light, the Third Eye Headlamps TE14 Headlamp has it all, with 4 white and 2 red light settings along with a powerful 168 lumen beam. Weighing in at only 50 grams with a water resistant IPX-6 rating, you'll never have a reason to leave your light at home. 2 Button Operation  One button for white, one for red. Once light is on for 3 seconds, one push powers off. IPX-6 Water Resistant  Protected against water jets of up to 100 liters per minute for 3 minutes.